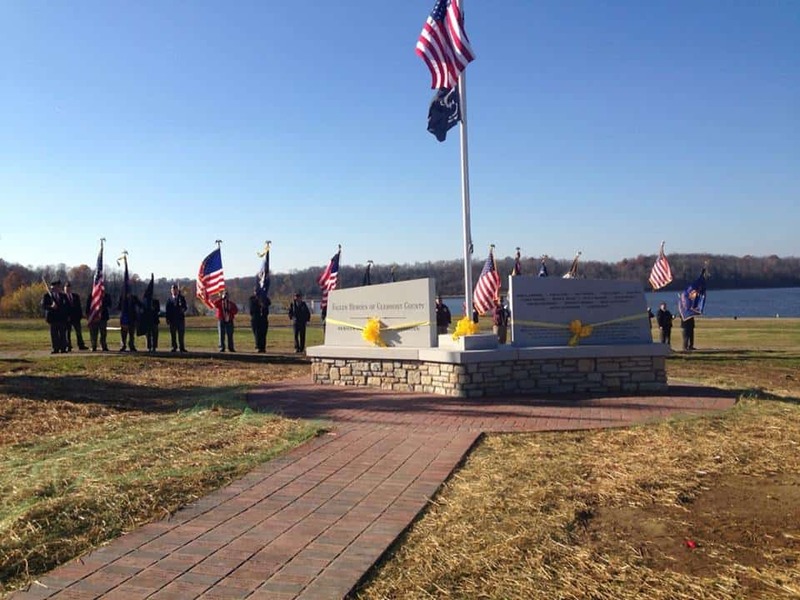 Batavia, Ohio – Sunday, November 10, at 2:00 p.m – The Fallen Heroes of Clermont County Memorial now stands completed on the beach at Lake Harsha, in East Fork State Park, adjacent to the Matt Maupin Welcome Pavilion. 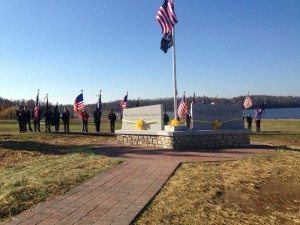 The committee force behind the memorial is a made up of a passionate, dedicated group of citizens who had the vision to design, fund and install an admirable tribute for the fourteen Clermont County heroes who gave their lives in service during the Persian Gulf, Iraq and Afghanistan conflicts. The committee has expressed the need for financial help with maintenance of the memorial and is still accepting sponsorship. “There are many ways to donate and every gift is equally important,” stated Andrea Bryant, Administrator of the Clermont County Veterans’ Commission Service. Simply download the form at www.clermontcountyohio.gov/Fallen_front.pdf, choose a tax deductible donation and mail it to 76 South Riverside Drive, Heritage Building, Third Floor, Batavia, OH. Commemorative bricks can also be purchased to “honor” anyone you choose! For more information about the Fallen Heroes of Clermont County Memorial, details regarding the project, fund management, or how to make a contribution, contact Andrea Bryant at 513-732-7245 or at abryant@clermontcountyveterans.com.